Plenty of studies have shown that the Arctic is warming and that the ice caps are melting, but how does it compare to the past, and how serious is it? New research shows that average summer temperatures in the Canadian Arctic over the last century are the highest in the last 44,000 years, and perhaps the highest in 120,000 years. 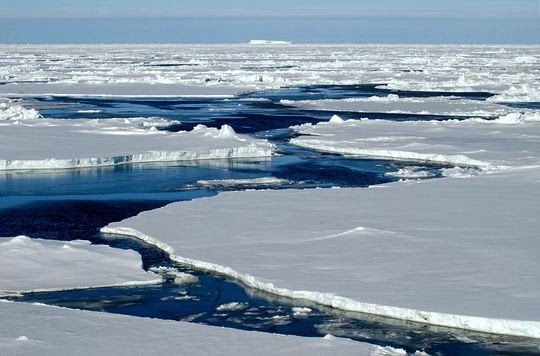 "The key piece here is just how unprecedented the warming of Arctic Canada is," Gifford Miller, a researcher at the University of Colorado, Boulder, said in a joint statement from the school and the publisher of the journal Geophysical Researcher Letters, in which the study by Miller and his colleagues was published online this week. "This study really says the warming we are seeing is outside any kind of known natural variability, and it has to be due to increased greenhouse gases in the atmosphere." The study is the first to show that current Arctic warmth exceeds peak heat there in the early Holocene, the name for the current geological period, which began about 11,700 years ago. During this "peak" Arctic warmth, solar radiation was about 9 percent greater than today, according to the study. Miller and his colleagues gauged Arctic temperatures by looking at gas bubbles trapped in ice cores (cylinders drilled from the ice that show layers of snow laid down over time) taken from the region, which allows scientists to reconstruct past temperature and levels of precipitation. They paired this with radiocarbon dating of clumps of moss taken from a melting ice cap on Canada's Baffin Island. Their analysis shows that these plants have been trapped in the ice for at least 44,000 years, and perhaps as long as 120,000 years. Taken together, that data suggest temperatures in the region haven't been this high since perhaps as long as 120,000 years ago, according to the study. The Arctic has been heating up for about a century, but the most significant warming didn't start until the 1970s, Miller said in the statement. "And it is really in the past 20 years that the warming signal from that region has been just stunning," he added. "All of Baffin Island is melting, and we expect all of the ice caps to eventually disappear, even if there is no additional warming." Why Global Warming is Adding Ice to the Antarctic?